A local model railroad club recently invited me to set up and display my 15mm wargaming layout at an open house they were holding in York, Pennsylvania. Here are a few photos of what I came up with in mixing my wargaming terrain and figures with my railroad. My interest in miniature wargaming stems from several factors, including a childhood love for toy soldiers, growing up near a railroad, and having a grandfather who worked for the New York Central his entire career. 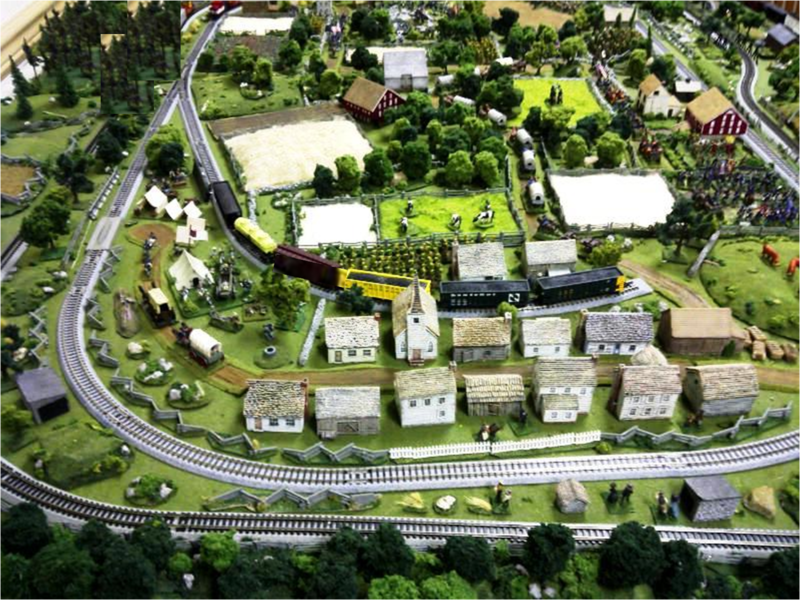 I have always enjoyed miniatures, whether it be a wargaming layout or a model railroad. Here are some photos of a temporary set up I presented a few weeks ago.